Do you want to do something exciting these week? Su Tung Po and Cigarrero check the quality of the grass these spring. Taken yesterday. HORSE TREK FROM Guejar Sierra to Tocon (2 days, 1 night in Tocon). – Suitable for all levels, even without riding experience. We will choose the route depending on riders level. – Very small, only 4 people. – 6-7 hours of real riding every day. – We will reach 2000m high and Collado del Alguacil. – Amazing chance of getting an overview over the North Face of Sierra Nevada. – We will spend one night in Tocon in the wonderful family hotel El Ronzal. 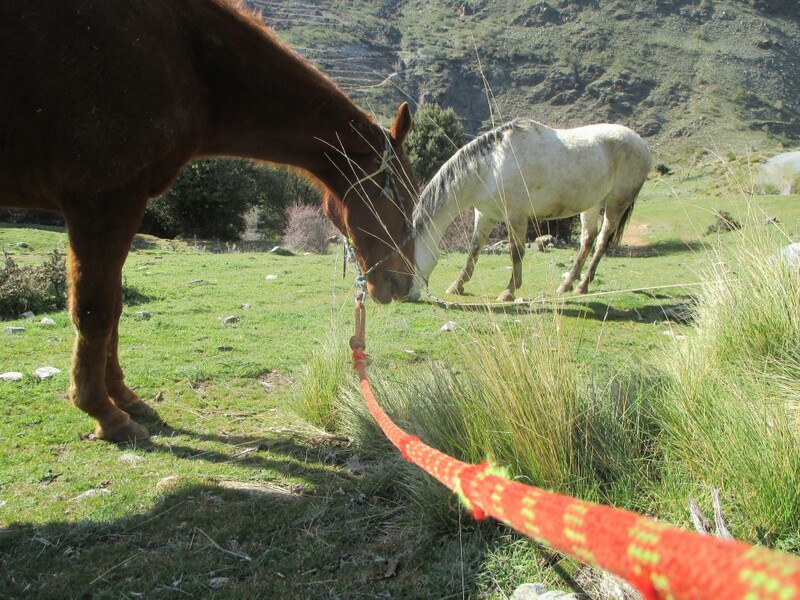 – Horses, qualified guide and equipment 2 complete days. – Lodging in double room in El Ronzal. – Dinner in the hotel. – Reservations open only to Tuesday 31st of March. Thursday 2nd and Friday 3rd of April.